Wednesday, October 3, 2018 Exciting new changes are coming to Rail Nation, will you be able to adapt or will you be swept away by the waves? Whether it was the development of the steam engine that powered the Industrial Revolution or the invention of electric engines that we still use today – in the history of railways, there have often been changes that meant progress. While some people clung to the old technologies and have never been heard of since, those who supported the changes went down in history successfully. 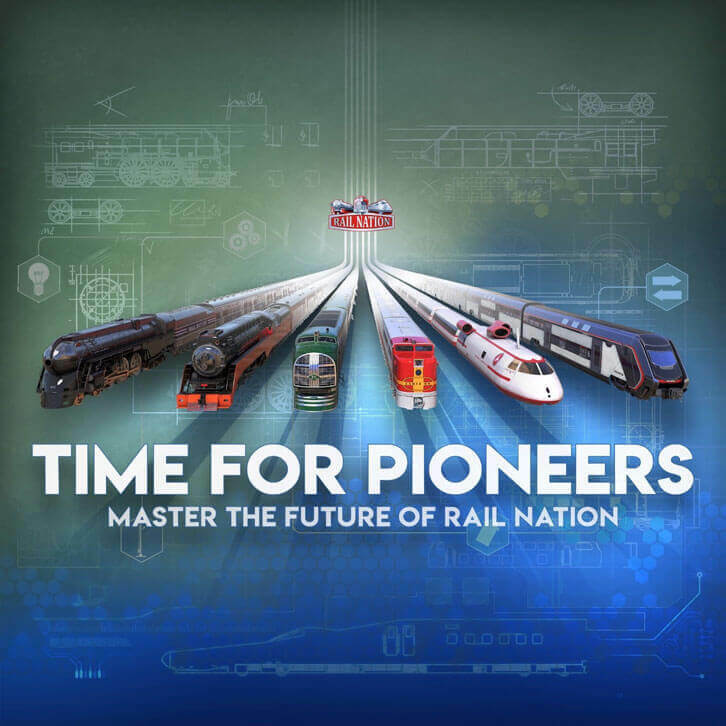 Rail Nation, too, will soon see immense innovations that will present all players who have ever played the game with new strategic and tactical options. There will be a lot to discover and tinker with. The changes can be summarized in three categories. The changes will soon be live on the first game worlds, begging the question: What will you do? Will you stand idly by? Or will you accept the challenge and master the future of Rail Nation.